LLB (Toronto) 1978, BA (Toronto) 1983, MLS (Toronto) 1985, PhD (UWO) 1992, called to the Bar of Ontario in 1980. Professor Wilkinson was awarded the Faculty Scholar Award in 2011 for her achievements in teaching and research. She was awarded the Ontario Library Association Les Fowlie Intellectual Freedom Award 2012, "for her tireless effort in advocating for the principles of balance, user rights and fair dealing on behalf of the Canadian Library community." She is also the Director of the Area of Concentration in Intellectual Property, Information and Technology Law. Professor Wilkinson practiced law in Toronto for several years prior to her graduate studies (supported, inter alia, by a Social Sciences and Humanities Research Council doctoral fellowship). She first joined the Faculty of Law at Western in 1991. In 1992, she became jointly appointed to the Faculty of Law and the then Graduate School of Library and Information Science (now the Faculty of Information and Media Studies). Professor Wilkinson was fully appointed to the Faculty of Law in 2007. 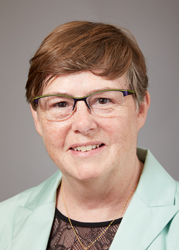 She retains her supervisory status in the Graduate Program in Law, her supervisory status for doctoral students in Library and Information Science, and her graduate supervisory status in Health Information Science. Professor Wilkinson's thesis on "The Impact of the Ontario Freedom of Information and Protection of Privacy Act, 1987 upon Affected Organizations", won the American Society for Information Science Doctoral Dissertation Award. Professor Wilkinson has spoken and published in the areas of intellectual property, information and media law, and information policy, including health information policy, as well as in the areas of management, professionalism, and professional ethics. Hagen, G., Hutchison, C., Lametti, D., Reynolds, G., Scassa, T., and Wilkinson, M.A., Canadian Intellectual Property Law: Cases and Materials, 2nd ed. Toronto, Emond, 2017. Hagen, G., Hutchison, C., Lametti, D., Reynolds, G., Scassa, T., and Wilkinson, M.A., 2013. Canadian Intellectual Property Law: Cases and Materials. Toronto: Emond Montgomery; 2013. Wilkinson, M.A., Genealogy and the Law in Canada. Toronto: Dundurn Press, in association with the Ontario Genealogical Society, 2010. Margaret Ann Wilkinson, “What is the role of new technologies in tensions in Intellectual Property?,” in Tana Pistorius (ed) Intellectual Property Perspectives on the Regulation of Technologies [ATRIP Intellectual Property Law Series] (Cheltenham, UK: Edward Elgar, 2018). Refereed. Chapter 1. Margaret Ann Wilkinson, "Copyright Update," OLA Superconference, Toronto, January 30, 2019. Margaret Ann Wilkinson, "Copyright and Canadian Schools," in David C. Young (ed), Education Law in Canada: A Guide for Teachers and Administrators (Toronto: Irwin Law, 2017) at 287-337. Margaret Ann Wilkinson, "International Copyright: Marrakesh and the Future of Users' Rights Exceptions," in Mark Perry (ed), Global Governance of Intellectual Property in the 21st Century (Switzerland: Springer, 2016) at 107-127. Wilkinson, M.A., "Misunderstanding the Legal Nature of Risk surrounding 3D Printing" presented on March 23rd at the IP Rights & Innovation in the 4th Industrial Revolution: Strengthening Canada's Innovation Performance in the Global Economy conference presented by the Centre for International Governance Innovation [CIGI] in Toronto, March 22-23, 2016. Margaret Ann Wilkinson and Tierney G B Deluzio, "The Term of Copyright Protection in Photographs," (December 2015) 31 Canadian Intellectual Property Review 95 -109. Carolyn Soltau, Margaret Ann Wilkinson and Tierney GB Deluzio, "Copyright in Photographs in Canada since 2012," December 2015 Open Shelf (18 pp) (http://www.open-shelf.ca/151201-copyright-photographs/). Wilkinson, M.A., "Copyright and Control" Presented May 4, 2015 at the ABC Copyright Conference, Winnipeg. Wilkinson, M.A., "What is the Role of New Technology in Tensions in IP?" Presented July 7, 2014 at the Association of Teachers and Researchers in Intellectual Property [ATRIP], Montpellier, France. Wilkinson, M.A., "Copyright Users' Rights in International Law" (2014) 60:3 Feliciter 9-15. Wilkinson, M.A., "Recent Developments in Canadian Law Affecting Genealogists," May 2014 Families [journal of the Ontario Genealogical Association] 3-15. Wilkinson, M.A., 2014. "The Confidentiality of Seclusion: Studying Information Flows to Test Intellectual Property Paradigms," in Courtney Doagoo et al (eds) Intellectual Property for the 21st Century: Interdisciplinary Perspectives on Intellectual Property Law; (Toronto: Irwin Law), 72-94, accessible at http://www.irwinlaw.com/content_commons/intellectual_property_21st_century. Wilkinson, M.A., “Tracing Forward and the Law: Navigating Privacy and Access Rules” (Keynote, delivered at The Tracing Forward Workshop, Toronto, 26 October 2013), [unpublished]. Wilkinson, M.A., 2013. "Can a Culture of Crowdsourcing be Harnessed to Enhance the Validity and Narrow the Scope of Issued Patents? The Peer-to-Patent Pilots," Chapter 15 in Graeme Dinwoodie (ed) Methods and Perspectives in Intellectual Property[ATRIP Intellectual Property Law Series ] (Cheltenham, UK: Edward Elgar), 361-377. Wilkinson, M.A., "Mobilizing Intellectual Property Expertise (MIPE) Final Report" Report to the Law Foundation of Ontario, July 2012. Wilkinson, M.A. 2011 “Access to Digital Information: Gift or Right?,” Chapter 14 in Mark Perry and Brian Fitzgerald (eds) Knowledge Policy for the 21st Century: A Legal Perspective (Toronto: Irwin Law), 313-340, accessible at http://www.irwinlaw.com/content_commons/knowledge_policy_for_the_21st_century. Perry, M., and Wilkinson, M.A. 2010. " The Creation of University Intellectual Property: Confidential Information, Data Protection, and Research Ethics," Canadian Intellectual Property Review 26: 93-122. Wilkinson, M.A. 2010. "Copyright, Collectives, and Contracts: New Math for Educational Institutions and Libraries," Chapter 17 in Michael Geist (ed.) From "Radical Extremism" to "Balanced Copyright": Canadian Copyright and the Digital Agenda(Toronto: Irwin Law, 2010), 503-540, accessible at http://www.irwinlaw.com/content_commons/from_radical_extremism_to_balanced_copyright. Wilkinson, M.A. 2010. "Confidential Information and Privacy-Related Law in Canada and in International Instruments" in Chios Carmody (ed.) Is Our House In Order? Canada's Implementation of International Law (Montreal & Kingston: McGill -Queen's University Press, 2010), 275-311. Wilkinson, M.A., and Nilsen, K. 2010. "Information Policy and the Canadian Library Association," Felicitor 56(2): 64-67. Wilkinson, M.A. 2008. "Battleground between New and Old Orders: Control Conflicts between Copyright and Personal Data Protection," in Ysolde Gendreau (ed.) Emerging Intellectual Property Paradigm -- Perspectives from Canada [Queen Mary Studies in Intellectual Property series edited by Uma Suthersanen] (Cheltenham (UK): Edward Elgar, 2008), 227-266. Wilkinson, M.A. 2006. "The Public Interest in Moral Rights Protection," Michigan State Law Review 1: 193-234. Wilkinson, M.A. 2005. "Filtering the Flow from the Fountains of Knowledge: Access and Copyright in Education and Libraries," Chapter 12 in Michael Geist (ed.) In the Public Interest: The Future of Canadian Copyright Law (Toronto: Irwin Law, 2005), 331-374. Wilkinson, M.A. and Perry, M. 2005. "Leveraging Knowledge Assets: Can Law Reform Help?," Canadian Journal of Law and Technology 4(1): 1-22. Wilkinson, M.A. 2004. "Privacy and Personal Data Protection: Albatross for Access?" in Karen Adams and William F. Birdsall (eds) Access to Information in a Digital World. Ottawa: Canadian Library Association, 109-132. Wilkinson, M.A. 2003-2004. "National Treatment, National Interest and the Public Domain," 1(1&2) University of Ottawa Law and Technology Journal 1 (182): 23-48. Wilkinson, M.A. 2004. " National Report for Canada: A Triumvirate of Cases from the Supreme Court" ATRIP [Association of Teachers and Researchers in Intellectual Property] Conference, Utrecht, The Netherlands, July 2004. Wilkinson, M.A. 2003. “Genie in the Bottle: Intellectual Property and the Flow of Information," Canadian Law Libraries 28: 206-211. Wilkinson, M.A. 2002. “The Copyright Regime and Data Protection Legislation,” in Ysolde Gendreau (ed.) Copyright Administrative Institutions: Conference Organised by the Centre de recherché en droit public (CRDP) of the Faculty of Law of the Université de Montréal, 11 & 12 October 2001, (Cowansville, PQ: Les Editions Yvon Blais Inc.) 77-100. Wilkinson, M.A. and McKechnie, L.E.F. 2002. “ Implementing the Information Rights of Canadian Children,” Canadian Family Law Quarterly 20: 429-465. Wilkinson, M.A. 2002. “ The challenges of coping with intellectual property regime implementation: observations on Canada and Vietnam,” Intellectual Property Journal 16: 45-92. Crossan, M. and Wilkinson, M.A. 2002. "iCraveTV.com - A New-Media Upstart",Strategic Management: A Casebook (Toronto: Pearson Education Canada) 146-160. Crossan, M.; Wilkinson, M.A. and Perry, M. 2002. "Napster, MP3 and the Music Industry", Strategic Management: A Casebook (Toronto: Pearson Education Canada) 129-145. Muhlstein, A., and Wilkinson, M.A. 2000. Whither Industrial Design. Intellectual Property Journal 14: 1-57. Wilkinson, M.A. 2000. Copyright in the Context of Intellectual Property: A Survey of Canadian University Policies. Intellectual Property Journal 14 (2): 141-184. Wilkinson, M.A. 1999. Le droit d'auteur dans le contexte de la propriete intellectuelle: une analyse des politiques universitaires canadiennes. Cahiers de Propriete Intellectuelle 12 (1): 51-94. French translation of "Copyright in the Context of Intellectual Property: A Survey of Canadian University Policies". Translated by Me Stefan Martin du cabinet Byers, Casgain. Wilkinson, M.A., and Painter, C. 1999. Shifting the Balance of Copyright Control for Photographic Works in Canada. Intellectual Property Journal 13 (3): 353-381. Wilkinson, M.A. 1997. Perceptual Differences in Approaches to Censorship: Information Intermediaries and the Implementation of Law. The Information Society 13 (2): 185-193. Wilkinson, M.A., "Misunderstanding the Legal Nature of Risk surrounding 3D Printing" presented on March 23rd as part of a panel on "Ethical Considerations for IP Lawyers in the Commercialization of Emerging Technologies" at the IP Rights & Innovation in the 4th Industrial Revolution conference presented by the Centre for International Governance Innovation [CIGI] in Toronto, March 22-23, 2016. Wilkinson, M.A., Walker, C. and Mercer, P. 2005. “Testing Theory and Debunking Stereotypes: Lawyers’ Views on the Practice of Law,” (2005) The Canadian Journal of Law and Jurisprudence 18 (1): 165-201. Harris, R. and Wilkinson, M.A. 2004. “Situating Gender: Students’ Perceptions of Information Work” Information Technology and People 17 (1): 71-86. Wilkinson, M.A. and Harris, R. ;2003. “The Future of the Profession of Librarianship: Constructed or Ordained” Canadian Journal of Library and Information Science 27: 49-78. Wilkinson, M.A. and Harris, R. 2001. Beyond Librarianship: Are Librarians Becoming Isolated in the New Information Age? Beyond the Web: Technologies, Knowledge and People, Proceedings of the 29th Annual Conference of the Canadian Association for Information Science, 27-29 May, 2001 - Université Laval, 15 pp. Harris, R. and Wilkinson, M.A. 2001. "(Re)Positioning Librarians: Young people's views on the information sector" ;Journal of Education for Library and Information Science 42: 289-307. Harris, R. and Wilkinson, M.A. 2001. "Imagining the Knowledge-based Economy: Soon-to-be labour force entrants predict the future of work",Citizenship and Participation in the Information Age (Toronto: Garamond Press) 79-86. Wilkinson, M.A. 2001. "Information Sources Used by Lawyers in Problem-solving: An Empirical Exploration" Library & Information Science Research 23: 257-276. Wilkinson, M.A. 2001. "Windows or Bridges: Enriching the Program for Law Students. Not a Box but a Window: Law Libraries and Legal Education in a Virtual World" - University of Toronto. Wilkinson, M.A. 2001. "Contrasting Incentives for Creativity", Law Forum Working Paper Series. University of Toronto Centre for Innovation Law & Policy - 9 pp. Wilkinson, M.A., Walker, C., and Mercer P. 2000. Do Codes of Ethics Actually Shape Legal Practice? McGill Law Journal 45 (3): 645-680. Wilkinson, M.A., and Wilkinson, J.P. 1997. Plotting Conflict. Library Administration and Management 11 (4): 205-216. Pettigrew, K., and Wilkinson, M.A. 1997. Control of Community Information: An Analysis of Roles. Library Quarterly 66 (4): 373-407. Mercer, P., M.A. Wilkinson, and Strong, T. 1996. Mentor, Mercenary or Melding: An Empirical Enquiry into the Role of the Lawyer. Loyola University Chicago Law 28 (2): 373-418. Mercer, P., M.A. Wilkinson, and Strong, T. 1996. The Practice of Ethical Precepts: Dissecting Decision-Making by Lawyers. The Canadian Journal of Law and Jurisprudence ;9 (1): 141-160. Carolyn Soltau, Margaret Ann Wilkinson and Tierney GB Deluzio (JD student), "Copyright in Photographs in Canada since 2012," December 2015 Open Shelf (18 pp) (http://www.open-shelf.ca/151201-copyright-photographs/). Krauss, P. "Unsettled Existence: The Fate of Licensed IP Rights upon the Bankruptcy of the Licensor." (2005) 19 Intellectual Property Journal 149-188. Simpson J. and Cielpielski, M. "Who's Afraid of Genetic Drift? : Property Rights and Environmental Legislation in Canada", (2005) 21(1) Canadian Intellectual Property Review 93-127. Prokopieva, E. "New Federal and Provincial Personal Information Protection Legislation and its Impact on Physicians and Public Hospitals" (2005) 4(1) Canadian Journal of Law and Technology 45-57. Faye, D. "Bioprospecting, Genetic Patenting and Indigenous Populations: Challenges under a Restructured Information Commons" (2004) 7(3) Journal of World Intellectual Property 401-428. Milot, A. "Student Protector, Internet Provider, or Contractual Party? : An Examination of the Legal Relationship Between a University and Its Students" (2003) 2(3) Canadian Journal of Law and Technology 187-212. Colangelo, A. "Copyright Infringement in the Internet Era: The Challenge of MP3s" (2002) 39(4) Alberta Law Review, 891-913. Currier, A. "The Canadian Action to Restrain Threats of Legal Proceedings," 80 Patent World (March 1996), 33-37. Robinson, D. "Ethical Evolution: The Development of the Professional Conduct Handbook of the Law Society of Upper Canada," (1995) 29 The LSUC [Law Society of Upper Canada] Gazette, 162-195.